Digital photography takes a lot of storage to save your priceless memories. The gadgets we use to record our special moments are constantly being upgraded with more megapixels and video quality. 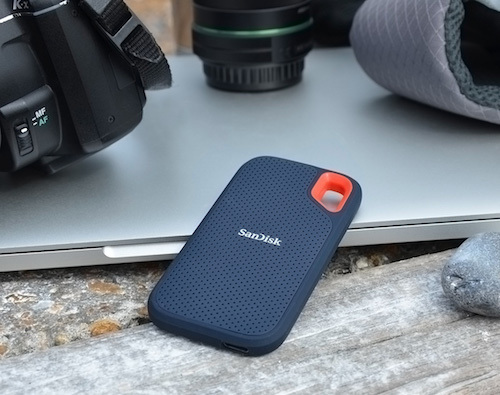 A company who specializes in high-grade portable storage products for photographers and videographers alike is SanDisk. 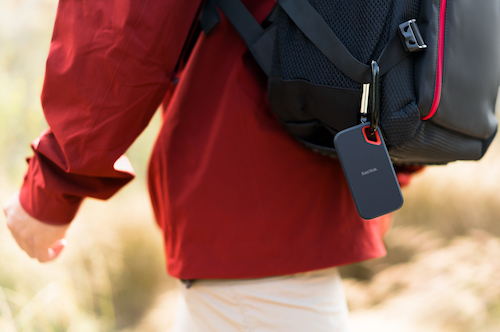 SanDisk makes many digital storage products, from microSD cards; 3D SSD internal drives to their newest Extreme 1TB External USB-C 3.1 Gen 2 rugged storage disk, to save all of your photos and huge 4k videos. This company knows storage and their latest Extreme 1TB SSD external drive with USB 3.1 Gen 2 gives you a terabyte of space along with fast transfer speeds. The USB-C Gen 2 connection offers up to 10Gbps transfer speed, which is seriously fast and beyond what the vast majority of USB thumb drives can connect at. Their Extreme SSD package comes with a USB-C to USB-A adapter for compatibility with other devices and their larger ports. A majority of the newest tech has USB-C ports. To realize the fastest speeds with this drive, the computer you are connecting it to must support USB 3.1 Gen 2. Take your data safely to go with this IP55 rated, for water resistance, SSD device that is shock resistant, and rugged with a protective case. Its SecureAccess 128-bit AES encryption software keeps files locked down. SSD drives like this one has a fast 550MB/sec read speed, along with the USB-C 3.1 Gen 2 connection, combine to transfer your files and memories blazingly quick. The media we are creating today is taking up more storage space than ever before, because the devices we use get more megapixels, while the included memory is only getting bumped up incrementally. 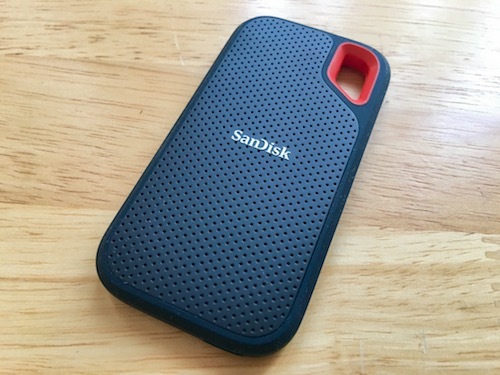 This is where SanDisk excels with their storage gear. I have used many of their memory cards and SSD drives in the past. 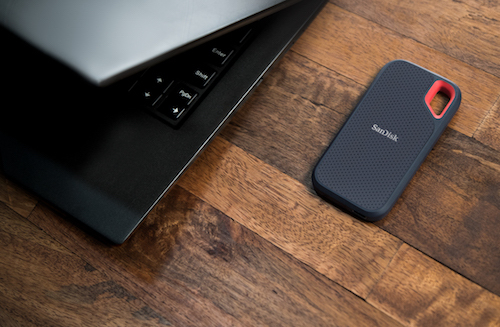 Their 1TB Extreme storage device is small, rugged and has the fastest transfer speeds of an external portable drive that I have used. All of this comes with a two-year warranty. SanDisk also offers a fast internal 2TB 3D SSD drive for laptops, desktops, and NAS devices. The SanDisk 2TB 3D SSD has 560MB/s sequential read and 530MB/s write speeds. These speeds are significantly faster than standard internal hard drives with 7,200RPM, which max out at about 210MB/s sustained transfer speed. Find it at Best Buy. They make a 400GB microSD card too, which is a huge amount of storage for a small chip. It comes with an SD adapter for smartphones and digital cameras. Check with the manufacturer of your smartphone or digital camera to see if it can support a 400GB microSD or SD card. Most smartphones max out at 64GB of internal storage space. The easiest way to add more local storage to a smartphone is by installing a microSD card. The largest from SanDisk is their 400GB microSD card. The flagship Android smartphones from Samsung, Huawei and others can handle microSD cards this capacious and beyond. Find it at Best Buy.